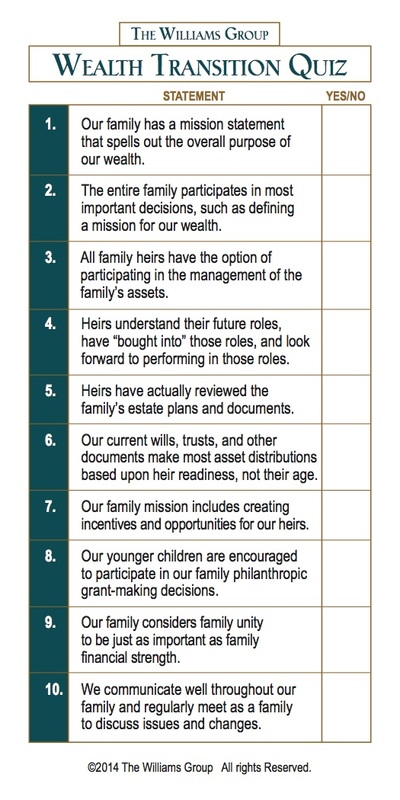 Regardless of whether your family is planning to transfer wealth to heirs or just thinking about it, our tools measure a family’s level of preparedness for wealth transition across the four critical areas our research identified are key to success: trust, communication, heirs preparedness and wealth mission. 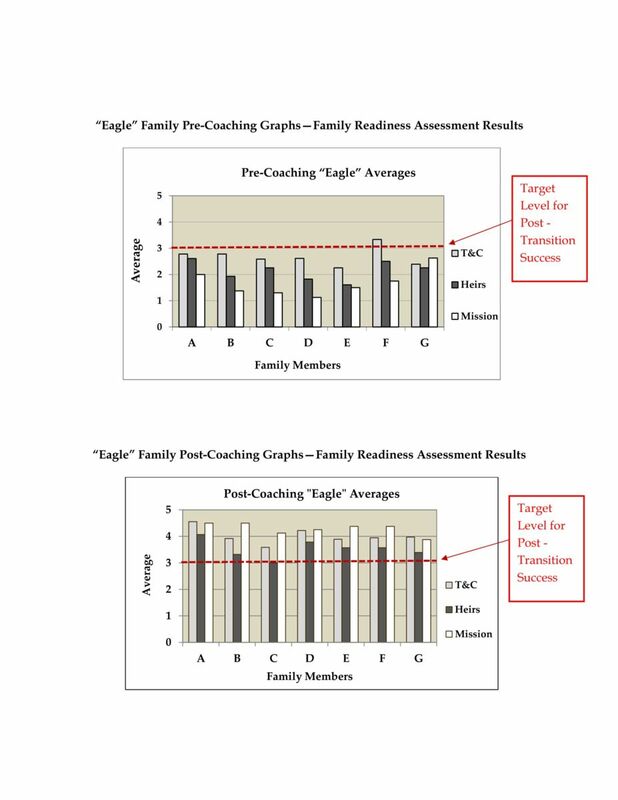 Measuring your family before, during and after coaching is crucial to tracking progress. This 10-question quiz is a quick read on one family member’s view of the entire family's readiness for estate transition. It's like a compass that points to the path leading to successful wealth transition. This quiz is a simple yet highly effective tool in framing a conversation around non-financial issues. The Williams Group focuses on preparing heirs by educating and coaching families on building trust and communication. 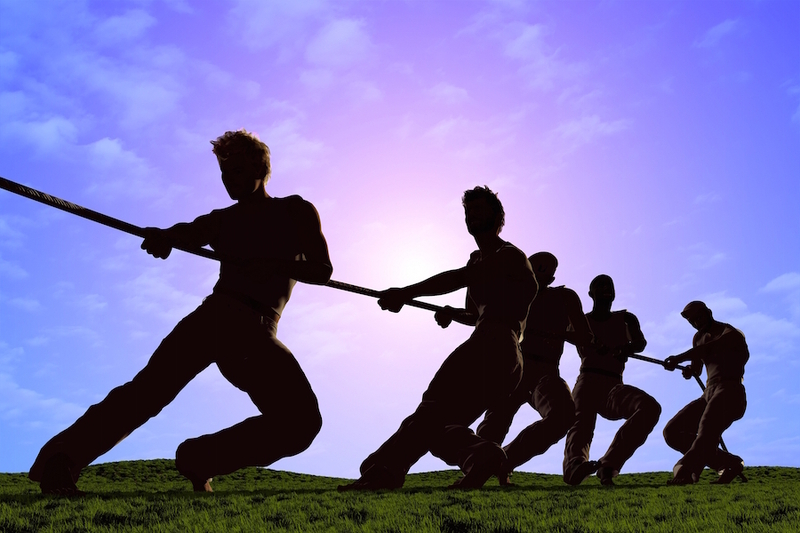 The Williams Group Family Readiness Assessment™ method is an important educational tool to help create unity and prepare families for wealth succession. By using this system, we bring families closer together by creating higher levels of trust and fostering more honest communication. This Assessment is anonymous and is taken by all family members, including spouses, and adult children and grandchildren. This Assessment provides the family with a baseline for the family’s current odds of post-transition success. This baseline is a comparison to the 2,500 families in The Williams Group research. It can be compared against future assessment results to measure progress. Below is an example of a family's survey results before and after consulting. 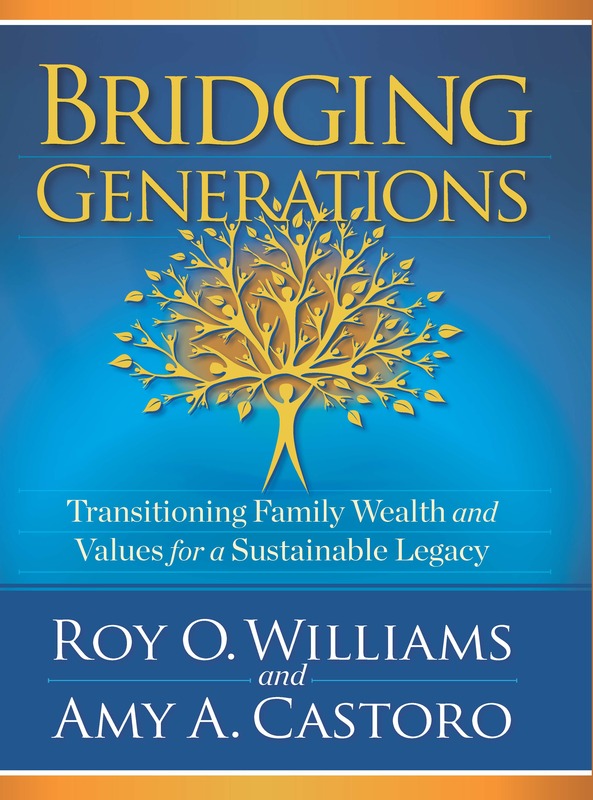 To learn more about the benefits of The Williams Group Family Readiness Assessment™, download an excerpt from our book, Bridging Generations.